The first game is going to be played between the defending champions Adelaide Strikers and Brisbane Heat. The eighth season of Big Bash League (BBL), Australia’s domestic T20 competition, is set to commence on December 19. The tournament will be a two-month affair concluding on February 17 next year. The competition, for the first time, will be extended to a full home and away season, with each team to play each other twice. The league will feature eight teams playing 59 matches consisting of 56 regular matches followed by two semi-finals and the final. Adelaide Strikers, led by Travis Head, had famously won the title in the last edition and they will be looking to defend it this time around with Perth Scorchers being one of the most consistent teams in the tournament. A total of thirteen venues i.e. The Gabba, Docklands Stadium, Sydney Cricket Ground, Carrara Oval, Adelaide Oval, Bellerive Oval, Sydney Showground Stadium, Perth Stadium, Aurora Stadium, Melbourne Cricket Ground, Geelong Cricket Ground, Traeger Park, and Manuka Oval have been finalized for the competition. The first game is going to be played between the defending champions Adelaide Strikers and Brisbane Heat at The Gabba in Brisbane. Brisbane Heat is a Brisbane based BBL team with Brisbane Cricket Ground as their home ground. The team is coached by former Kiwi spinner Daniel Vettori and is captained by hard-hitting batsman Chris Lynn, who replaced Brendon McCullum as the captain. Heat are one of the successful teams of the BBL having won the title in 2012-13. Melbourne Renegades are a professional T20 BBL team based in Victoria, Australia. The Renegades play their home matches at Marvel Stadium (Docklands) with GMHBA Stadium, Geelong as their second home ground. The team is coached by former Aussie all-rounder Andrew McDonald and is captained by stylish Australian opener Aaron Finch. 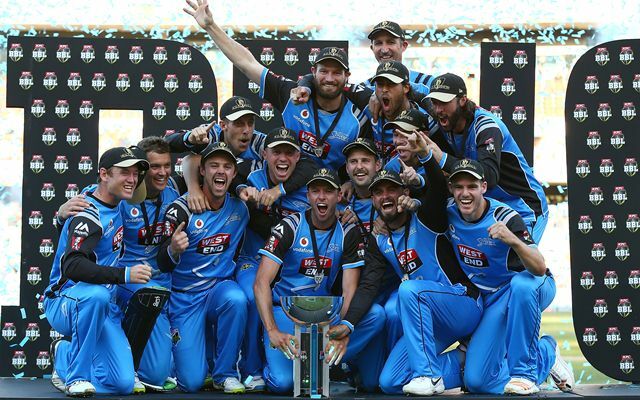 The Renegades have never won the BBL title and are hoping to turn the fortunes this year. Sydney Thunder are the professional T20 BBL team based in Sydney, Australia. The Thunder’s home ground is Sydney Showground Stadium at Sydney Olympic Park. The team is coached by former New Zealand pacer Shane Bond and is captained by former Australian all-rounder Shane Watson. Thunder won the fifth edition of Big Bash in 2015-16 under the leadership of Michael Hussey beating Melbourne Stars in the final. Hobart Hurricanes are a Tasmania based Australian professional T20 team. The team plays its home matches at Blundstone Arena, University of Tasmania stadium. The Hurricanes are coached by Adam Griffith and are captained by wicketkeeper-batsman Matthew Wade. They have not won a single BBL title so far in the tournament history and were runners-up in the previous season. Perth Scorchers are a Perth based professional T20 team. The team had the iconic WACA stadium as its home ground till 2018 but was replaced to Perth Stadium this year. The Scorchers are the most successful team in BBL history having won three titles so far and ended up as runners-up twice. The team with Orange jersey is coached by former Scorchers captain Adam Voges and is captained by big all-rounder Mitchell Marsh. Melbourne Stars are the Australian T20 team based in Melbourne, Victoria. The Stars play their home matches in the largest cricket ground in the world i.e. Melbourne Cricket Ground. The team is coached by former Kiwi captain Stephen Fleming and is led by Aussie batsman Glenn Maxwell. So far, the Stars have been unsuccessful in winning the title but ended up as runners-up in the 2015-16 season. Sydney Sixers are the Australian professional T20 team that competes in BBL and are based in Sydney, Australia. The Sixers play their home matches at Sydney Cricket Ground also known as SCG. The team is coached by the former Australian domestic player Greg Shipperd and is led by big all-rounder Moises Henriques. Sixers won the inaugural Big Bash league in 2011-12 by beating Perth Scorchers in the final and also went on to win inaugural Champions League T20 that year. Adelaide Strikers are professional T20 cricket team and are based in Adelaide, South Australia. The team plays its home matches at Adelaide Oval and is coached by former Aussie bowler Jason Gillespie. The Stars led by Travis Head are the defending champions which beat the rampaging Hobart Hurricanes in the finals in a 2017-18 season to lift the trophy.